Irish Water came into existence in the wake of an agreement which the Fianna Fail-led government entered into with the Troika in 2010.
implementation, as appropriate with a view to start charging in 2012/2013. The Memorandum of Understanding also included provisions for a property tax and carbon levies on home heating oil, gas, coal, briquettes, auto diesel and petrol. The Fianna Fail – Green Party Troika agreement was subsequently progressed and implemented by the current Fine Gael – Labour Coalition. 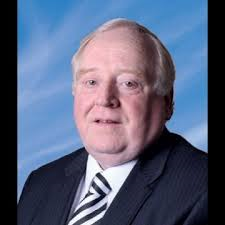 Scanlon, selected by Fianna Fail to contest the next general election, says in his press statement that “no-one forced” the present government to implement the Fianna Fail-Green Party agreement – negotiated in the context of its application for a bailout. Currently, Fianna Fail appears to be supporting charges for water.